Care workers are being offered a wide range of useful tips and information to improve their support for people with a learning disabilities. Understanding sight loss in people with learning disabilities is aimed at improving the knowledge of care staff in a number of key areas. The tool explains that there is a “potential for a high proportion” of the people supported by care workers to have unrecognised sight loss. 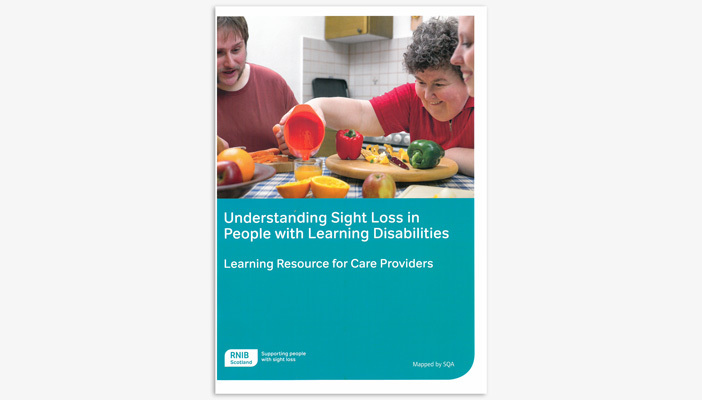 The Learning resource aims to redress this and includes topics that define a learning disability, how to recognise and support sight loss and mobility and guiding tips. It also explores different types of visual behaviours such as close viewing, light sensitivity and eye rubbing. It is hoped the tool will be used to improve workers professional development. Information gained can also be used as evidence towards SVQ Social Services and Healthcare Level 2 or the SVQ Social Services and HealthCare Level 3 in Scotland.